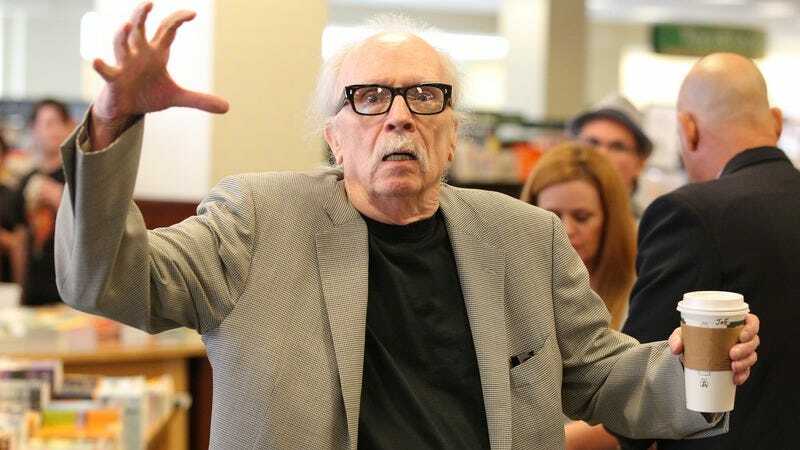 Whether it’s touring as a musician or writing a comics series, it seems that there’s nothing that the iconic film director John Carpenter won’t do, so long as it doesn’t involve directing more movies. As Variety reports, Carpenter and his wife and longtime producer, Sandy King, have signed a deal to produce two scripted series for NBCUniversal’s cable programming division through its Universal Cable Productions (UCP) outfit. The first, Tales For A Halloween Night, is an anthology series that UCP and Carpenter and King’s Storm King Productions have been developing for the B-movie repository Syfy. The second, more intriguing project is Nightside, a TV adaptation of Simon R. Green’s series of fantasy novels about a private investigator working in London’s magical underworld. Jill Blotevogel, the co-creator and one-time showrunner of MTV’s little-loved (but strangely un-cancellable) Scream series, is attached to write the pilot, with Carpenter producing.